One of the finest properties in the highly sought-after Port Streets community, this recently constructed +G+inner-loop+G- home was designed by renowned architect Eric Olsen. Tastefully finished with exceptional materials, custom details and quality craftsmanship. Flooded with natural light and featuring a flowing plan of graciously scaled rooms and complementary outdoor spaces, the home is ideally suited for modern life in coastal Orange County. The chic, gourmet kitchen is the centerpiece of the home with marble counter tops, custom cabinetry, top-of-the-line appliances and an oversized island. Additional main-level features include a private bedroom with bathroom, dining room and a large, informal living area that leads to the private, professionally landscaped rear yard. The second level includes 4 additional bedrooms, one of which could be used as a play/bonus room, office or gym. The gorgeous master suite includes two separate, large walk-in closets, fireplace and a sumptuous bathroom. 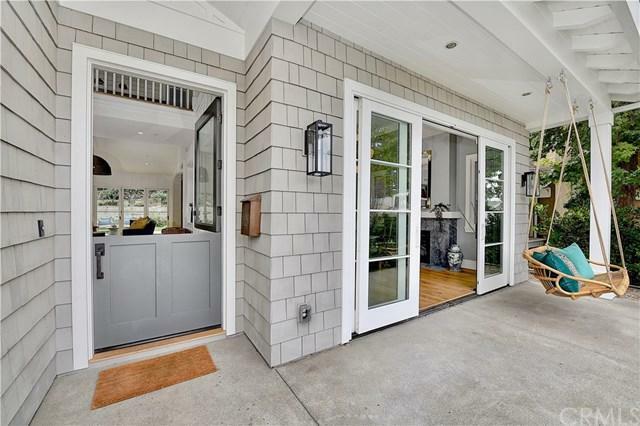 Significant interior and exterior upgrades by the current owner make this a truly special opportunity. Homes that merge this level of quality and design are not often available as they provide a desirable and uncommon living experience. Exclusions Chandelier in Upstairs Bedroom.